No matter how beautiful and vibrant the Michigan winter, a Michigan spring feels pretty good, too. This year, plan to spend time taking in the many sights of the Southfield City Centre…from the seat of your Zagster bike. 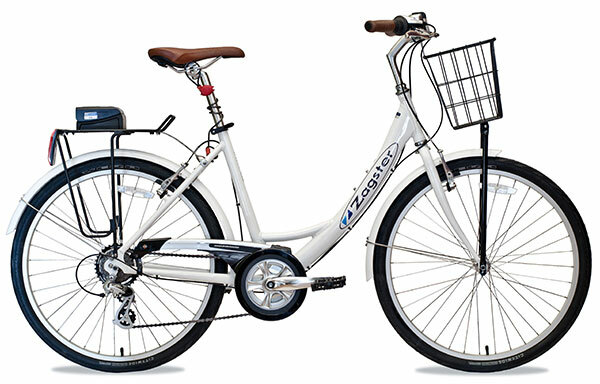 Zagster is the Southfield City Centre’s bike share program, an inexpensive, fun, healthy way to get around the district. A lunchtime ride perfectly shakes off the stagnant feeling of sitting at a desk or behind a computer. A weekend ride gets the heart pumping, and allows you to further explore the many pleasures of the Southfield City Centre. Cruise down the Evergreen Road corridor and breathe in air that you are helping make fresher by pedaling instead of driving. Stop for a sandwich or a beverage at the south end. Fly up to the Southfield Public Library and the Mary Thompson Farm. Meet up with friends for a game of volleyball or to walk a nature trail. Ride to the nearby Lawrence Tech campus. Don’t forget to stop and get a close-up view of the many art installations along the way, or just rest on a bench and take in the sights. Spring is a beautiful time to enjoy the Southfield City Centre. Register now and get ready to ride the City Centre spring through fall. But hurry! This special offer expires May 1, 2018. The Spring Bike Share promotion is a $10 discount on the annual membership. Annual memberships are $15 using promo code spring18. Special code expires May 1, 2018.